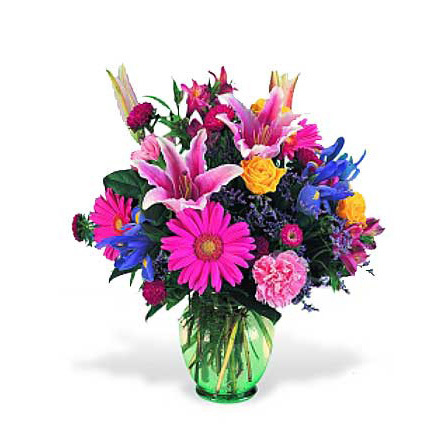 SW-215 A beautiful blend of colors and flowers in a dramatic memorial display. 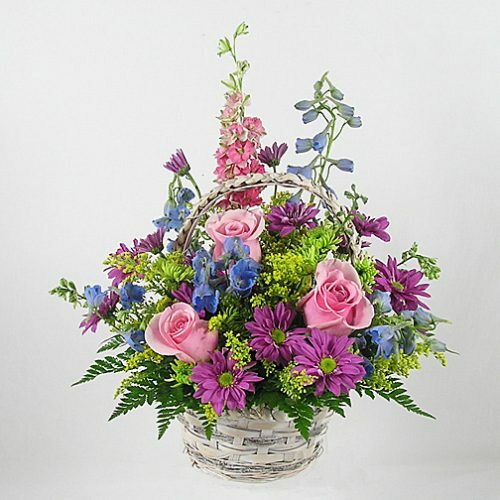 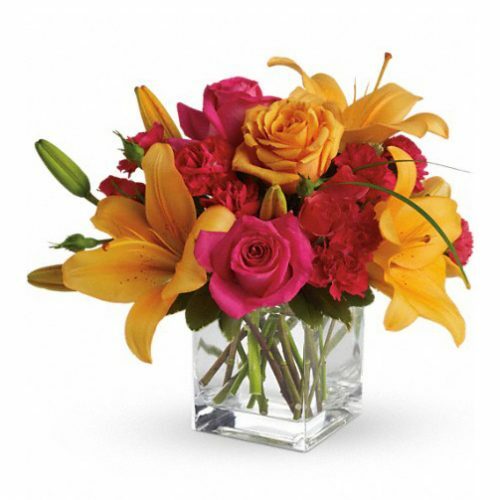 Blue delphinium and hydrangea, green spider mums, and pink lilies are arranged with graceful accents and greenery. 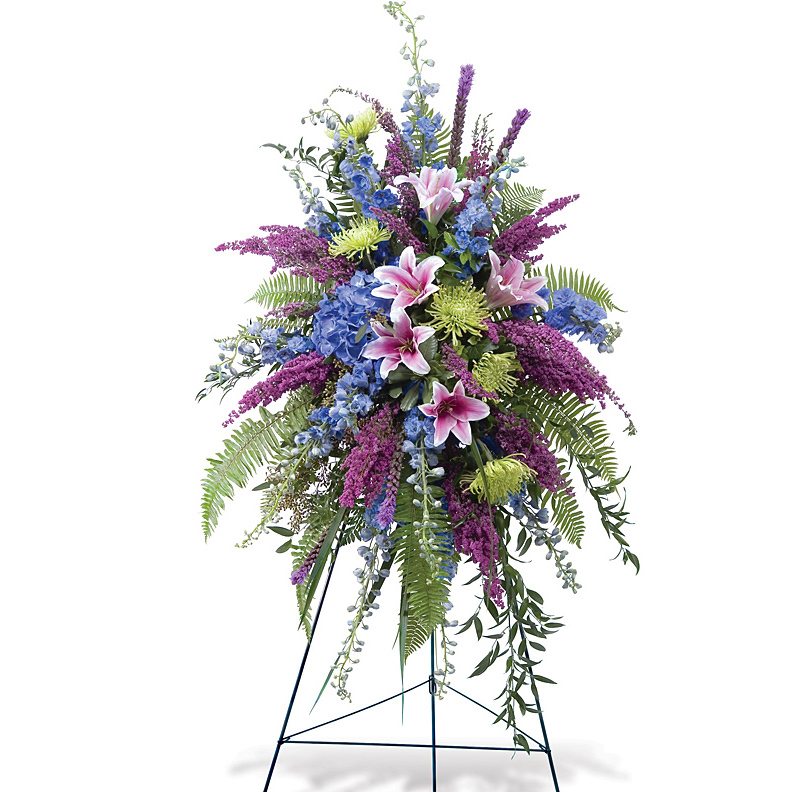 A beautiful blend of colors and flowers in a dramatic memorial display. 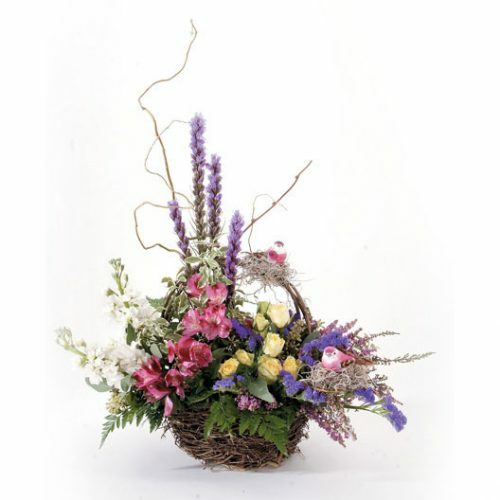 Blue delphinium and hydrangea, green spider mums, and pink lilies are arranged with graceful accents and greenery.